Doctor Jerry Wright received his medical diploma from the University of Colorado Denver School of Medicine in 1971. He completed his residency in radiology at the Medical College of Wisconsin Affiliated Hospitals and he is board certified in diagnostic radiology. Currently, Dr. Wright works in many hospitals in Sitka, Alaska, including MT. 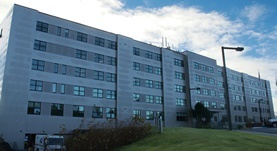 Edgecumbe Hospital and South East Alaska Regional Health Consortium in Juneau. During his medical career that exceeds 45 years of practice, he published several articles of medical interest together with the help of other doctors. Dr. Jerry Wright has contributed to 3 publications. Differential expression of degradome components in cutaneous squamous cell carcinomas. Prasad, N. B.,Fischer, A. C.,Chuang, A. Y.,Wright, J. M.,Yang, T.,Tsai, H. L.,Westra, W. H.,Liegeois, N. J.,Hess, A. D.,Tufaro, A. P.; Mod. Pathol.. 2013 Dec 21. Transcriptional adaptation to Clcn5 knockout in proximal tubules of mouse kidney. Wright, J.,Morales, M. M.,Sousa-Menzes, J.,Ornellas, D.,Sipes, J.,Cui, Y.,Cui, I.,Hulamm, P.,Cebotaru, V.,Cebotaru, L.,Guggino, W. B.,Guggino, S. E.; Physiol. Genomics. 2008 Mar 20. MetaMiner (CF): a disease-oriented bioinformatics analysis environment. Wright, J. M.,Nikolsky, Y.,Serebryiskaya, T.,Wetmore, D. R.; Methods Mol. Biol.. 2009 Jul 15.